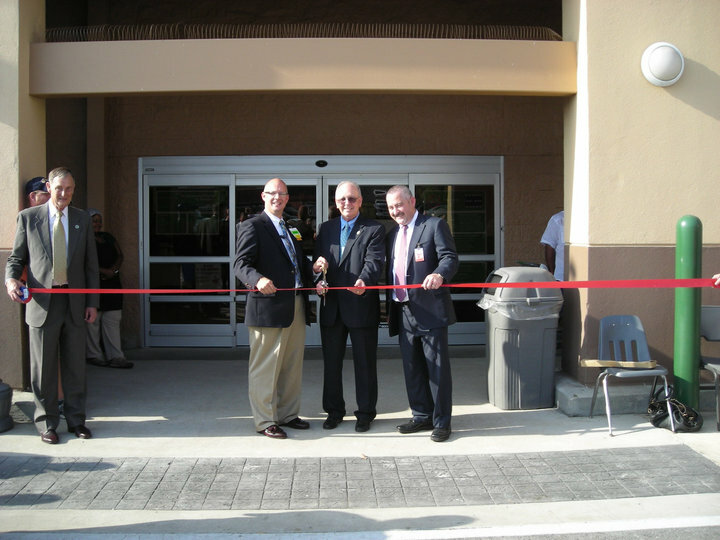 On Friday July 20, Walmart Neighborhood Market’s Center Point store had a ribbon cutting ceremony to celebrate its Grand Re-Opening. The store’s interior has been refurbished and updated. Drop by if you have not been by to see the changes. 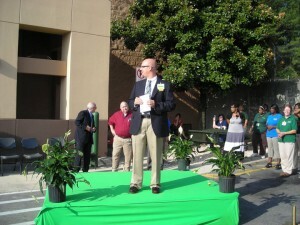 Store Manager Richard Seagle addresses the crowd. Mayor Tom Henderson assists Richard Seagle with the ribbon cutting.